Coming up next month is the Ensenada Beer Festival, to be hosted Saturday March 19th at the historic Hotel Riviera del Pacifico. Aimed at craft beer enthusiasts, over 80 breweries across Baja California are participating this year, including big names like Cerveceria Wendlandt and some San Diego Breweries. If you’re a fan of American beer festivals, you need to check out what our friends south of the border are doing. Just remember to secure Mexican auto insurance before taking off! And don’t get caught driving under the influence, because even if you have Mexico car insurance you won’t be covered. Learn more about Mexican auto insurance at Mex Insurance Store. What’s wrong with the So Cal festivals? Like many trends in America, once something becomes popular, it tends to be commercialized to death. Don’t get me wrong, I live in Los Angeles and enjoy the L.A. Beer Fest just fine. But it has its drawbacks. Big crowds, massive lines for the fashionable breweries and a urgency to gulp down as much brew as possible during the allotted time frame can turn what should be a relaxing time into a busy obligation. It’s similar to going on a date at an all-you-can-eat sushi place. It sounds great, but stuffing yourself with hastily assembled sushi inside a cramped space with EDM blasting isn’t as fun as you might think. 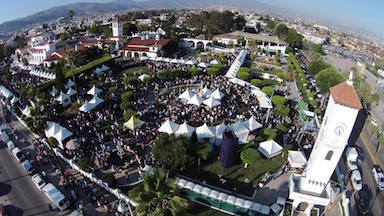 The Ensenada beer fest runs long, and that’s a good thing. Last year’s festival began at 2 pm and finished well past midnight, so there’s no rush to devour as much beer as possible, because you’re going to be there all day anyway right? So you get to relax and taste brews at your own pace, the way it should be. There’s also an underrated educational experience to the festival, which actually begins a day early. Attendees can talk to brewers, check out seminars and more. Not only will you have a few new beers to drink, you’ll be able to explain to your buddies what makes them great too. And of course, the beer itself is world-class. Road trip tip: Mexican auto insurance is required to drive on the toll roads, so pick up Mexico car insurance before heading out! Do you need Mexican auto insurance? Affirmative. Mexico car insurance is now mandatory when driving around Baja. And with the festival going on, there’s going to be more drunken drivers (and cops) on the road, so you might as well be prepared. 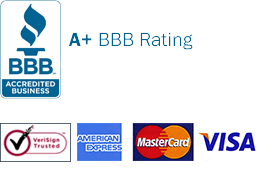 Mexican auto insurance from Mex Insurance Store includes Roadside Assistance for peace of mind! Produce 2 copies of your Mexican insurance policy. Get one to keep it in the car and another one for extra copy. Enjoying a trip in Mexico is basically simplified by Mexican auto insurance. It makes your driving experience legitimate and with less hassles. Always check the effectivity of your Mexican insurance policy before traveling. This document is essential when crossing the border. Your smartphone helps you get out of a sticky situation if you’ve cross the border without Mexico insurance coverage. We can take our pets in Mexico when traveling. But we need required documents before taking them inside the country. Always bring some small bills with you, particularly when going to markets to buy items and souvenirs. Always be ready in everything—to make the most of your time. It’s fun to enjoy Mexican colors, delicious foods, and relax while shopping around. Reaching Ensenada isn’t difficult from San Diego. Safety driving is always associated with Mexican insurance for drivers to have peace of mind. Ensenada carnival is the day for everyone when they want festival dancing, fireworks, music, costumes — making people crazy and wild. Having fun in Mexico is incomparable. Traveling is exciting even if it takes long hours staying and seeing the road. It’s not advisable for drivers to drink before driving. Driving rules must be observed. Always drive with the right condition of the mind and body.